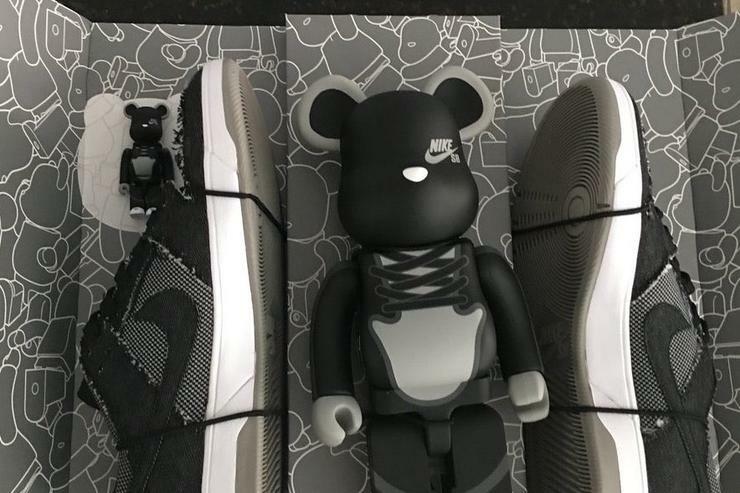 A tie up between Nike and Medicom has seen the release of a New Nike SB shoe along with matching 100% and 400% BE@RBRICK figures. Entitled Nike SB Dunks Low Elite x Medium Toy, the collaboration is the latest from the two companies, that have been partners for more than 15 years. Announced by professional skater Theotis Beasley on his Instagram, the shoe was released on Black Friday. Given the prices the shoe is already fetching on eBay, it is safe to say that it no longer is available at retail. Sold separately, expect to pay about $175 for the shoes, and more than $200 for the 100% and 400% BE@RBRICKS.